Jamie plays an hour of jazz, ranging from its heritage to its future and interviews one of his favourite artists, Kurt Elling, known for his unique vocalese style of singing. 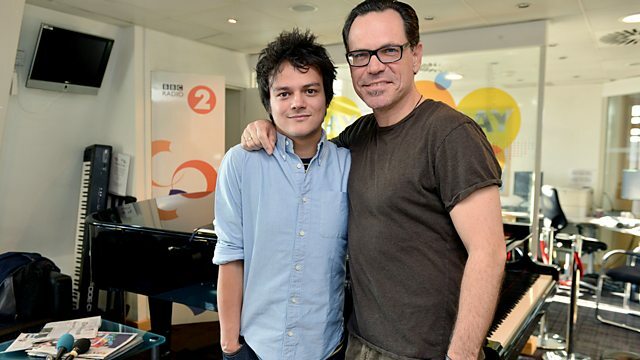 Jamie Cullum plays an hour of jazz music ranging from its heritage to its future. This week, Jamie interviews one of his favourite artists, Kurt Elling, known for his unique vocalese style of singing. Jamie talks to Kurt about his life and career in jazz, from his early days performing and developing his style in Chicago jazz clubs to his debut on Blue Note Records, and his subsequent rise to fame. Kurt's collaborator and pianist Laurence Hobgood also joins the pair to perform a special track at the Radio 2 piano. 1619 Broadway – The Brill Building Project.